Juliana Harkavy is a fast-rising movie and television actress from the United States. She has undoubtedly proven her worth as an actress and is set on the path to Hollywood stardom. As a child, Harkavy marked her professional debut back in 1995 but did not continue with her career until after a decade. Upon her return to acting in 2005, she starred in a couple of short films before eventually recording her first television role in 2011. This talented actress is now well known for her role as Rebecca in the 2011 3D film Dolphin Tale as well as its sequel Dolphin Tale 2. She also had a starring role in the 2012 biopic To Write Love on Her Arms as well as horror films like House of Bodies and Last Shift. On the small screen, she is well known for her performance in the hit superhero series Arrow in which she portrays the character Dinah Drake/Black Canary. The Hollywood actress was born Juliana Jay Harkavy on New Year’s Day of 1985 in New York City but while growing up, her family in several parts of the US as well as Europe. She attended the Young Actors Space (YAS), one of the best acting schools in Los Angeles, for 9 years. She began her high school education at Le Lycée Français de Los Angeles, an LA-based bilingual school where she became fluent in the French language. She also did part of her high school education in France when her family moved there and eventually, she got to complete her high school diploma at the Milken Community High School in Los Angeles, California. Upon her graduation from high school, she enrolled to study Theater at The New York University Tisch School of the Arts. Juliana Harkavy can be best described as an early bloomer as she began her professional acting career at the age of 10. Her first job was on the commercial of the horror series Goosebumps on Fox Kids. She featured as an uncredited extra in the highly-acclaimed film adaptation A Little Princess (1995). Soon afterward, she took a very long hiatus from acting and ultimately returned to the screens after a decade. Upon her return to acting, Harkavy had roles in short films like Flushed (2005) and Love is Blind (2006). She equally had a minor role in the superhero comedy film My Super Ex-Girlfriend (2006). The talented actress also portrayed the lead character in the short film Whatever Lola Wants (2010) which fetched her a nomination for the Best Actress Award at the annual Canes film festival of the University of Miami. Juliana Harkavy appeared in the 3D drama film Dolphin Tale (2011) starring as Rebecca. This was followed by roles in other films like If You Only Knew (2011), A Feeling from Within (2012), To Write Love on Her Arms (2012) and Finding Joy (2013). She was also on the cast of the horror film House of Bodies (2013) alongside Terrence Howard and Queen Latifah and she equally starred in the comedy flick Marriage Material (2014). She reprised her role as Rebecca in the sequel Dolphin Tale 2 (2014) and also featured in the horror film Last Shift (2014). Just like her impressive big screen credits, Harkavy also has several small-screen credits to her name. She marked her TV debut with a guest role on an episode of the crime drama series The Glades (2010). She starred in the telefilm Big Mike (2011) followed by guest appearances in the TV series Graceland (2013), The Walking Dead (2013) and Constantine (2014). The talented actress also had a starring role in the telefilm Below the Surface (2016). Juliana Harkavy landed one of her biggest television roles when she was cast as Dinah Drake/Black Canary in the long-running superhero series Arrow (2017-present). She has also reprised the role while guest-starring on other superhero series The Flash (2017) and Legends of Tomorrow (2017). 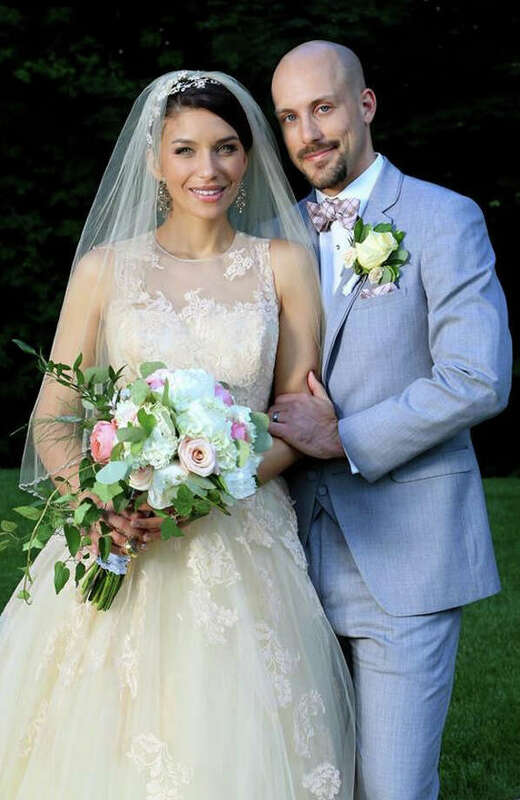 Juliana Harkavy got married to Peter Christopher Kupchick on the 19th day of June 2014. Unlike his famous wife, Kupchick prefers to stay off the limelight and there is very little information regarding him in the purview of the media. However, he is known to be the son of long-serving state legislator Brenda Kupchick who represents the 132nd District of Fairfield, Connecticut. Juliana Harkavy’s mother is Berta Carela and her father is Michael Harkavy. Apparently, the apple does not fall far from its tree as her father Michael is also involved in showbiz. He is a television executive and has previously served as a Senior Vice president at Warner Bros. Entertainment Inc. Juliana has one younger sibling, a brother named August Harkavy.